Anniston, Ala. (May 2018) – (ArmsVault.com) – Creedmoor Sports, the leader in precision rifle equipment and gear, is excited to announce the release of its 2018 Shooting Gear Catalog. Products featured in this year’s catalog include Creedmoor shooting coats, range carts and stools, mats and rifle cases, the Polecat scope stand, scopes and scope accessories, .22LR ammo and pellets, the Creedmoor Portable Air Gun Range and cleaning and reloading products. “Cool Products” featured in this year’s catalog include the new Creedmoor Stratum Rifle Rest, Sandwich Bag Rifle Rest and Soup Can Rifle Rest. 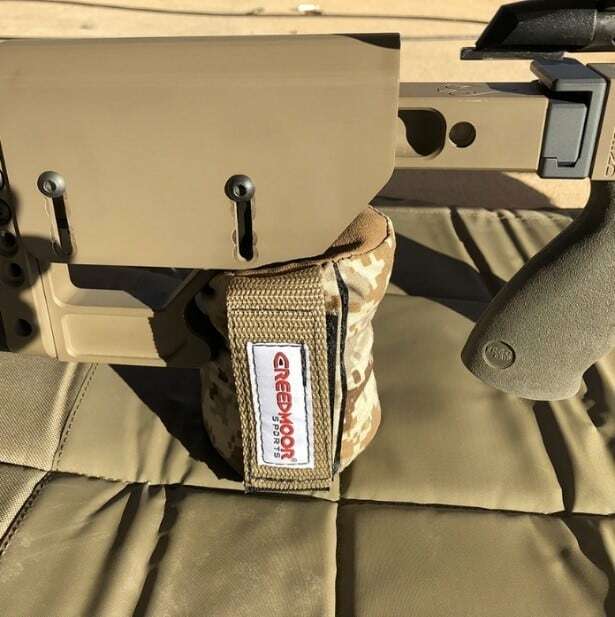 The Soup Can Rifle Rest, designed as a front or rear hand-held bag, features Creedmoor’s very popular anti-slip shooting mat rubber, your choice of camo rip-stop material and heavy duty 1.5″ adjustable nylon Velcro straps. Other new products featured under this section include the Labradar, Trace 10 GEN2 Training Analysis System, Edgewood Bags and Protektor Bags. Equipment and product lines include, but are not limited to, Kowa®, Edgewood Bags, Konus®, Gehmann, MEC, TEC-HRO, Otis, Annealing Made Perfect, Forster, L.E. Wilson and Redding. 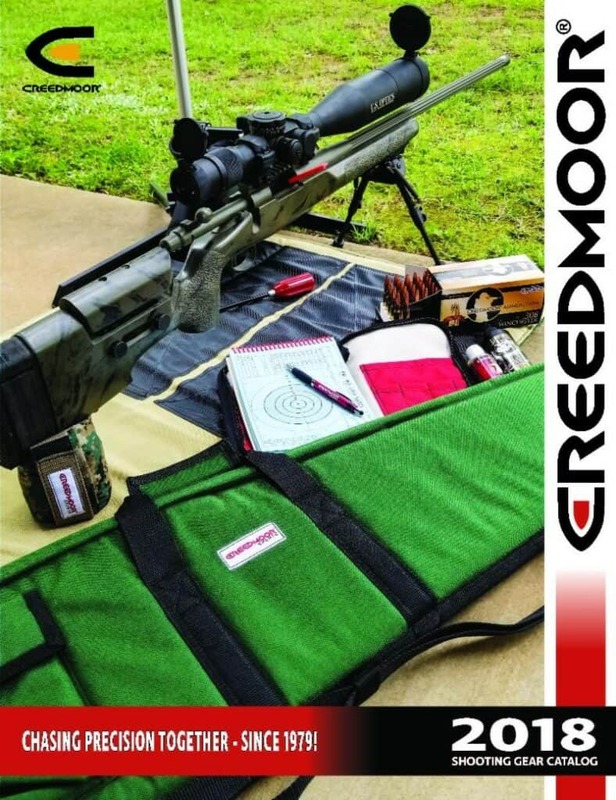 Contact Creedmoor for a print version of the 2018 Shooting Gear Catalog or all new Reloading Catalog at www.creedmoorsports.com and click on Request a Catalog. Also, don’t forget to join Creedmoor Cash, a first in the industry. Why not earn points while shopping for equipment and components? Make your purchases work for you and it’s FREE! Shop, Earn and Shoot! Now, for a limited time, sign up and Creedmoor Sports will credit your account with 100 FREE points!